Petrus Gassendus (1592-1655) materialismum contra Cartesium sustinuit. Materialismus, existimatus forma physicalismi, est philosophia quae penitus habet solam rem quae exsistere potest probari esse materiam, omnes res materiá componi, omnesque res, mente et sensu inclusis, consequi actiones unice materiales; ergo, materiam esse solam substantiam. Theoria materialismi est genus ontologiae monisticae, quod a theoris ontologicis quae dualismum vet pluralismum consequuntur differt. 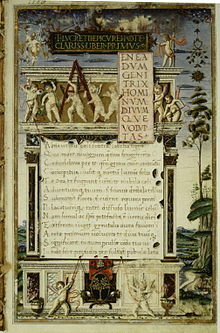 In singularibus realitatis phaenomenalis explanationibus, materialismus ab idealismo discrepat. Bloch, Ernst. 1972. Das Materialismusproblem, seine Geschichte und Substanz. Buchner, L. 1920. Force and Matter. Novi Eboraci: Peter Eckler Publishing Co.
Bunge, Mario, et Martin Mahner. 2004. Über die Natur der Dinge: Materialismus und Wissenschaft. Stutgardiae: Hirzel-Verlag. Churchland, Paul. 1981. Eliminative Materialism and the Propositional Attitudes. In The Philosophy of Science, ed. Richard Boyd, P. Gasper, et J. D. Trout. Cantabrigiae: MIT Press. Dijksterhuis, Eduard Jan. 1956, 1983. Die Mechanisierung des Weltbildes. Berolini, Heidelberg, Novi Eboraci: Springer. ISBN 3540020039. Flanagan, Owen. 1991. The Science of the Mind. Editio altera. Cantabrigiae: MIT Press. Fodor, J. A. 1974. Special Sciences. Synthese 28. Gregory, Frederic. 1977. Scientific Materialism in Nineteenth Century Germany. Dordrecht: D. Reidel. Gunasekara, Victor A. 2001. Buddhism and the Modern World. In Basic Buddhism: A Modern Introduction to the Buddha's Teaching. Kim, J. 1994. "Multiple Realization and the Metaphysics of Reduction." In Philosophy and Phenomenological Research 52. 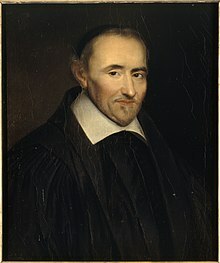 Iulianus Offray de La Mettrie, Julien Offray de. Man the Machine. Lange, Friedrich A. 1925. The History of Materialism. Novi Eboraci: Harcourt, Brace, & Co.
Lange, Friedrich Albert. 1974. Geschichte des Materialismus. Liber conversus. Francofurti: Suhrkamp. Liber conversus interretialis. Moser, P. K.; J. D. Trout, ed. 1995. Contemporary Materialism: A Reader. Novi Eboraci: Routledge. Osler, Margarete J. Mechanical Philosophy. In New Dictionary of the History of Ideas, 1389–1392. Overmann, M. 1993. Der Ursprung des französischen Materialismus: Die Kontinuität materialistischen Denkens von der Antike bis zur Aufklärung. Francofurti: Peter Lang. Schopenhauer, Arthur. 1969. The World as Will and Representation. Novi Eboraci: Dover Publications. Turner, M. S. 2007. Quarks and the Cosmos. Science 315:59–61. Vitzthum, Richard C. 1995. Materialism: An Affirmative History and Definition. Amherst, New York: Prometheus Books. Wittkau-Horgby, Annette. 1998. Materialismus: Entstehung und Wirkung in den Wissenschaften des 19. Jahrhunderts. Göttingen: Vandenhoek & Ruprecht. Novissima mutatio die 5 Maii 2018 hora 18:35 facta.